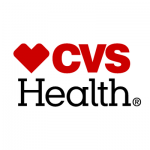 CVS health is seeking an exceptional Artificial Intelligence – Machine Learning Scientist to the join its Loyalty & Personalization team. This role will have the unique opportunity to build, implement, and upkeep a Personalization Engine product serving over 70M loyalty program customers. In this role, you will apply a rigorous machine learning approaches to build and enhance the capabilities of the product. The Machine Learning Scientist will be expected to thrive and have demonstrate success in an environment which offers complex problems, big challenges, and quick changes. They will deliver model and solution artifacts (e.g. operational code to support system decision/workflow and technical documentation) while operating autonomously in a product development setting to meet release schedules. They will be expected to balance detailed execution goals with speed and business constraints. Solid collaborative skills, ability to abstract complex problem into machine learning solutions, an appreciation for learning, and extreme attention to detail are necessities. The successful candidate will be a recognized expert for their technical and critical thinking abilities. As a member of the team you will have a deep knowledge base in Machine Learning and in- depth expertise in applying automated solutions in Decision Optimization/Workflow processes.